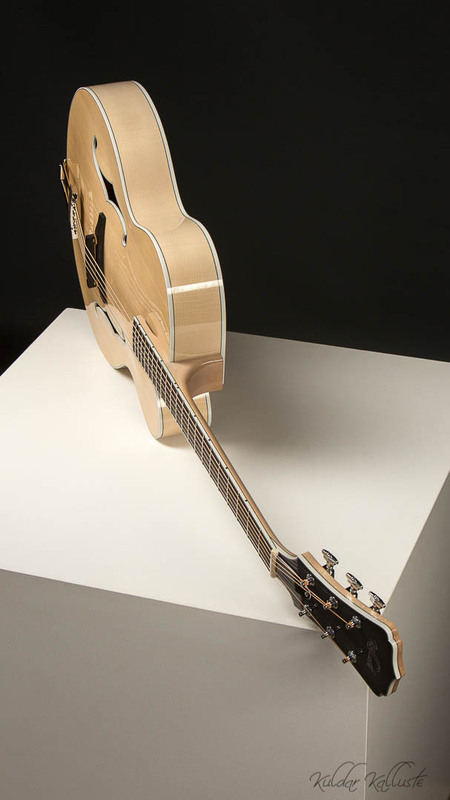 Here we have the archetypical traditional guitar. 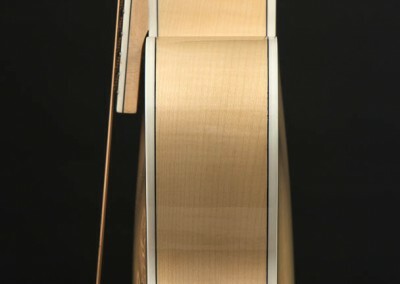 The top of my guitar is laminated spruce while the bottom is laminated maple. 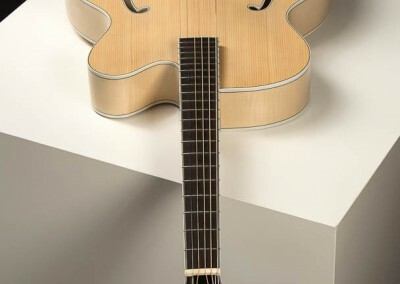 Modern adhesives today are extremely flexible, which in turn allows the laminated surfaces to become very flexible. 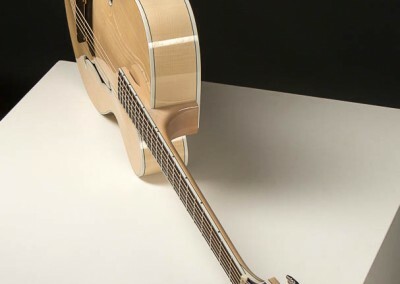 The sides are made of bended maple. 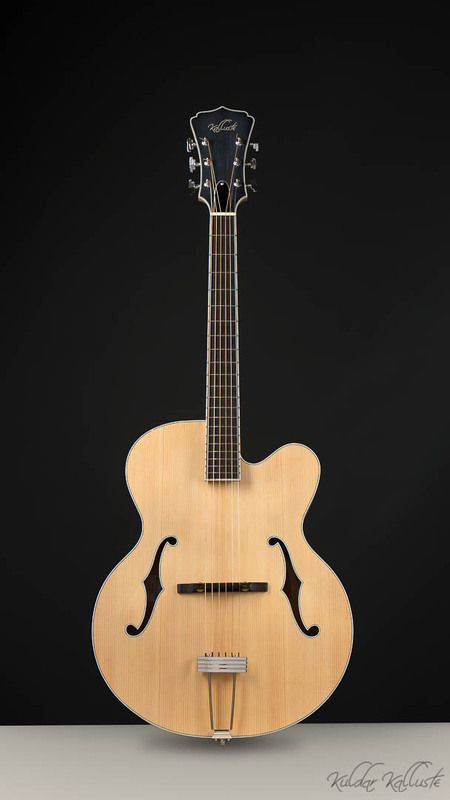 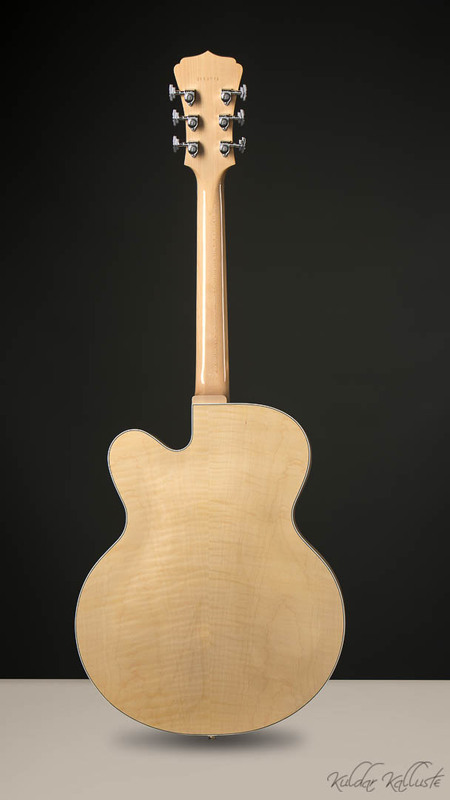 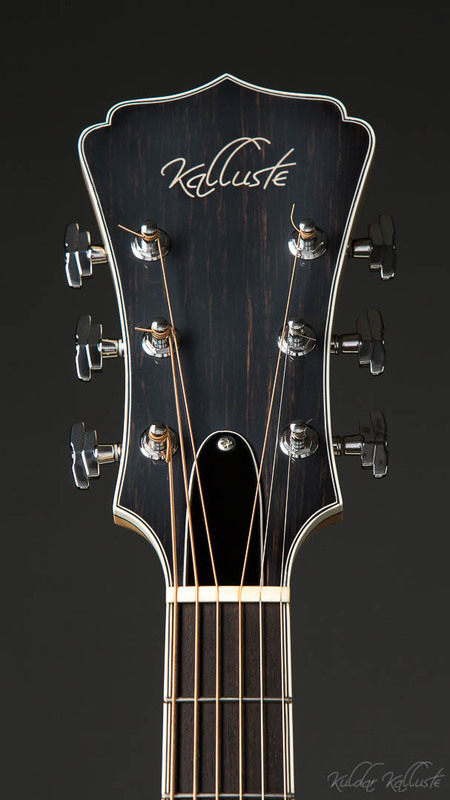 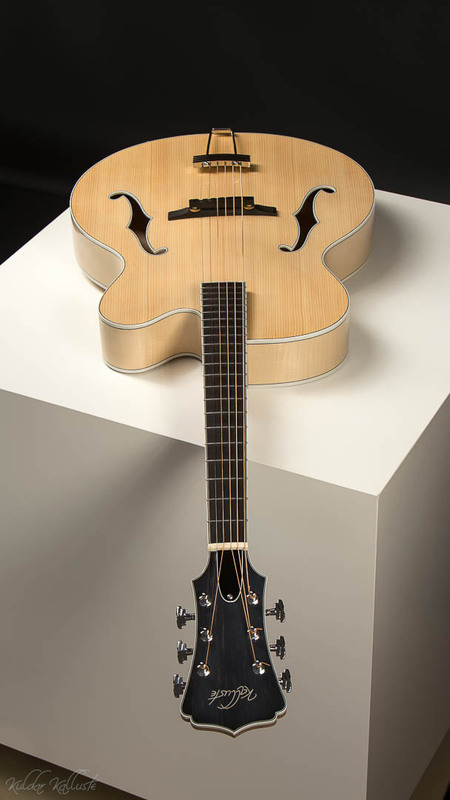 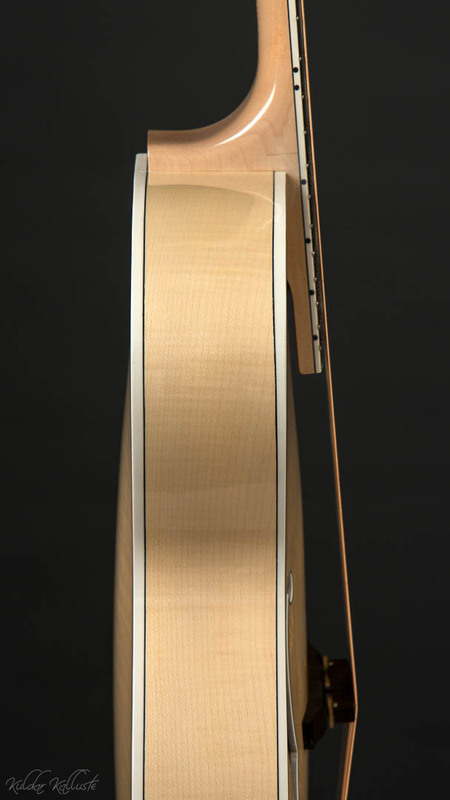 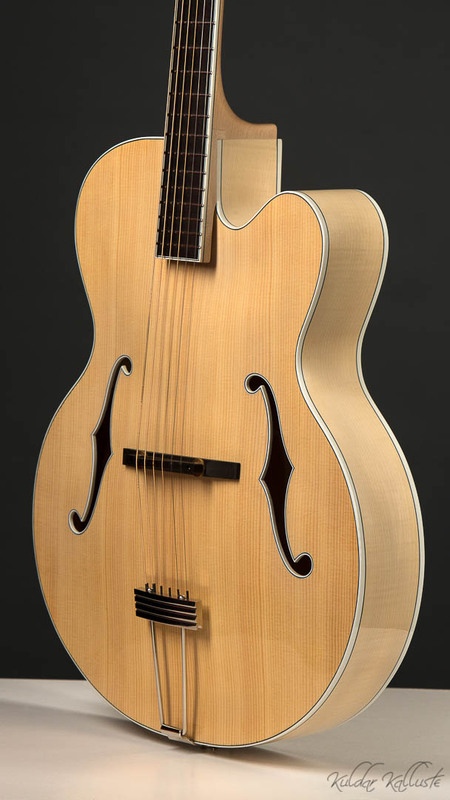 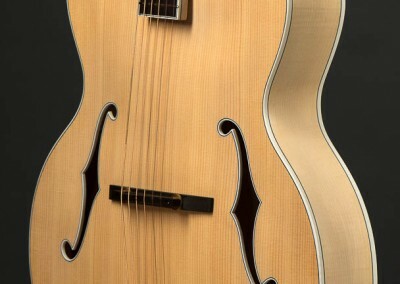 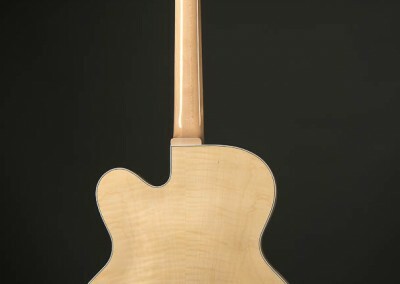 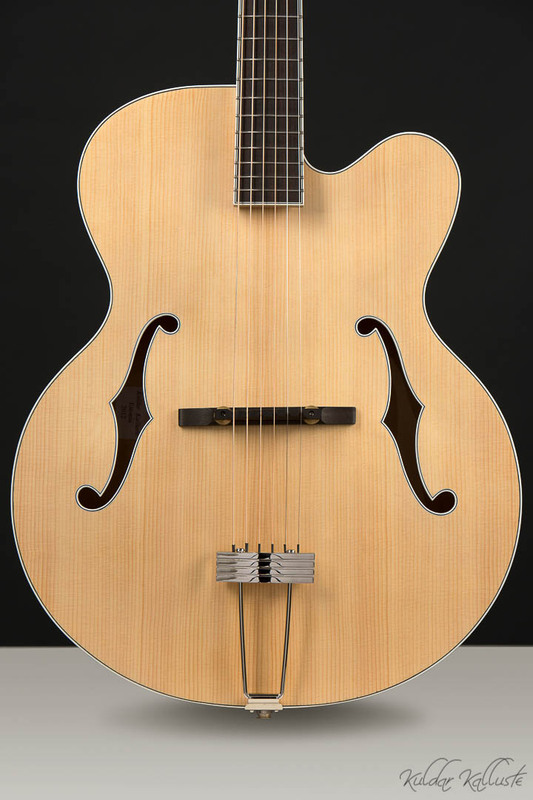 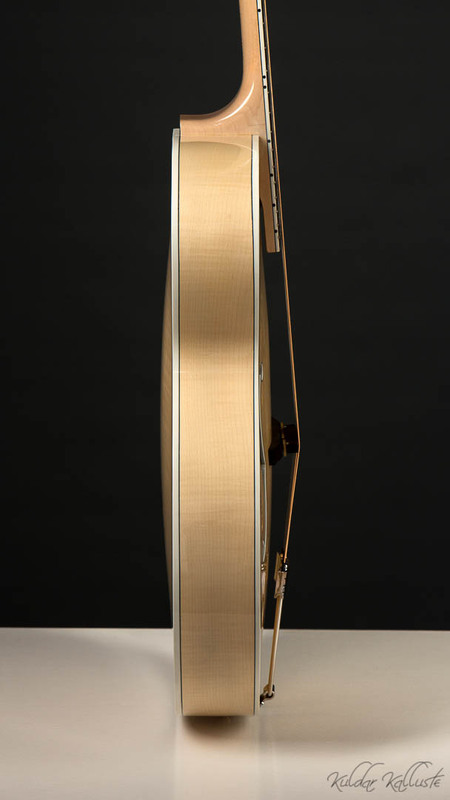 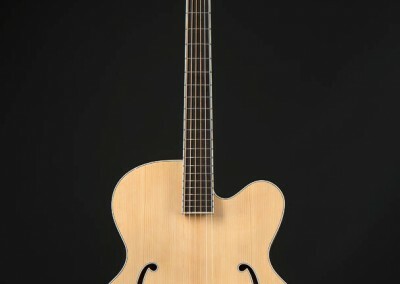 The traditional neck is composed of three pieces of maple glued together. 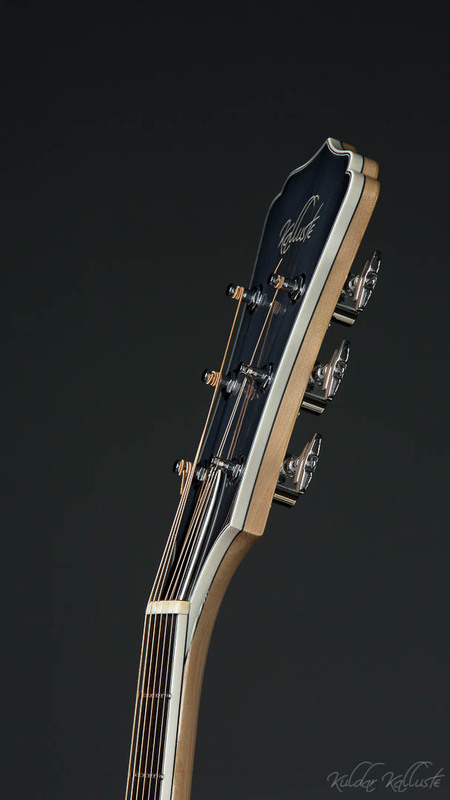 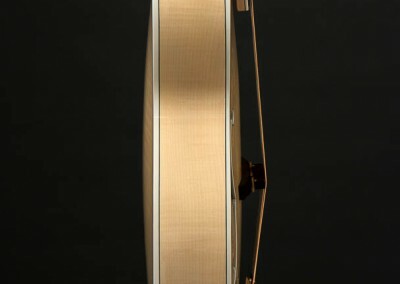 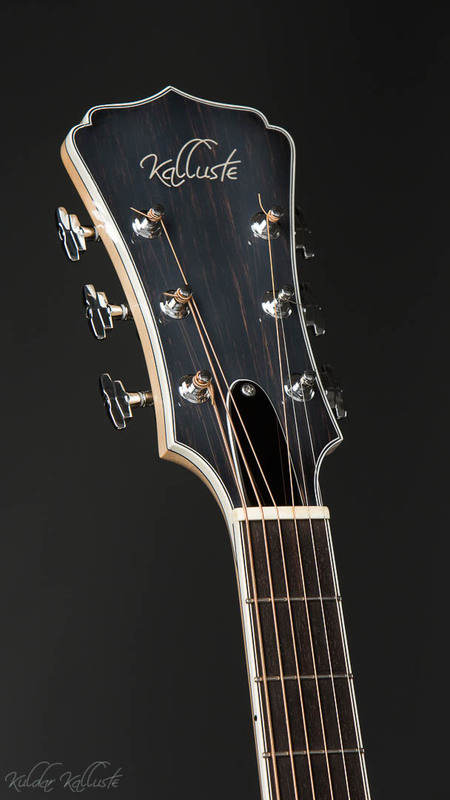 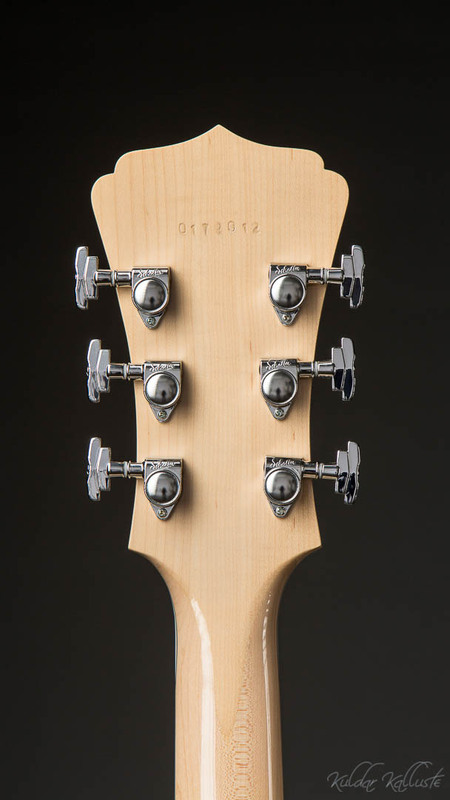 The Neck is only 19 mm thick at the first fret. 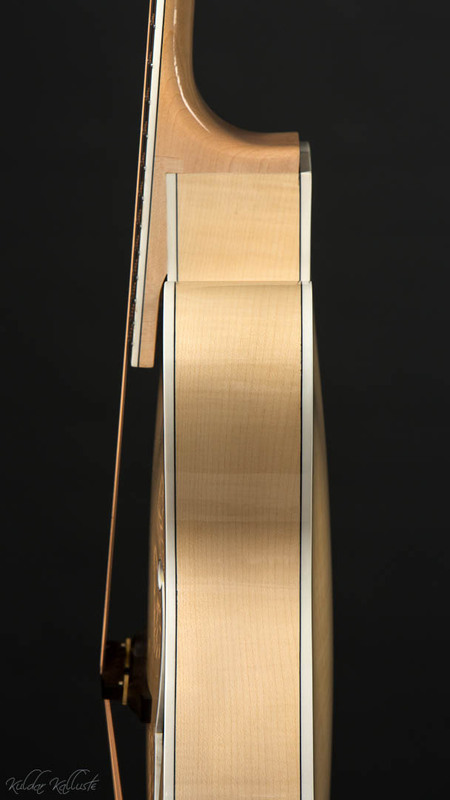 Even though the neck is thin it can still hold over 100 kg (220 lbs). 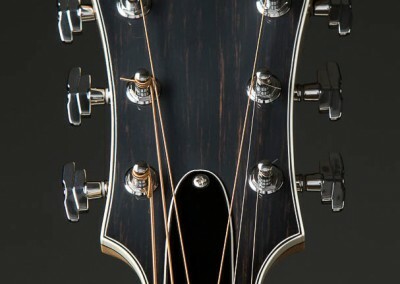 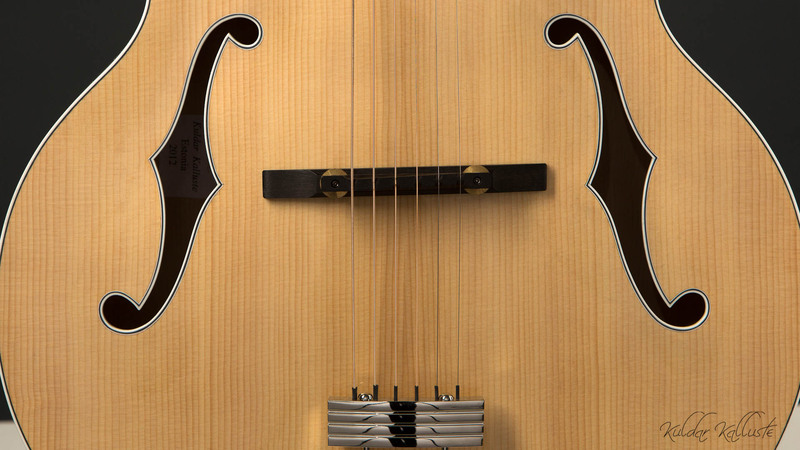 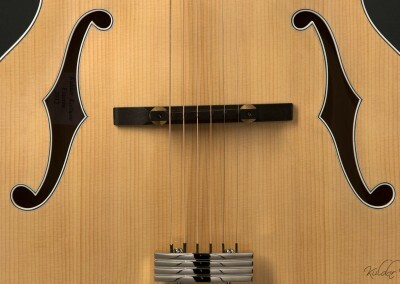 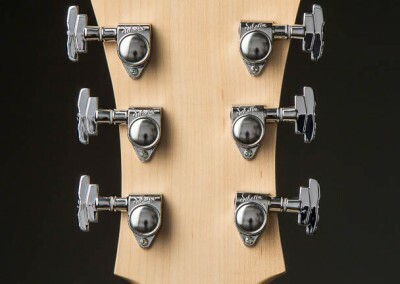 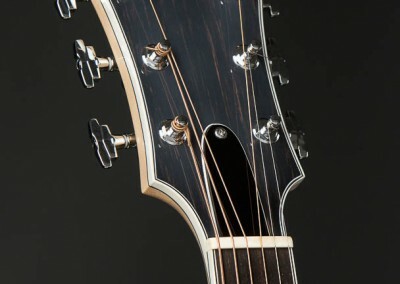 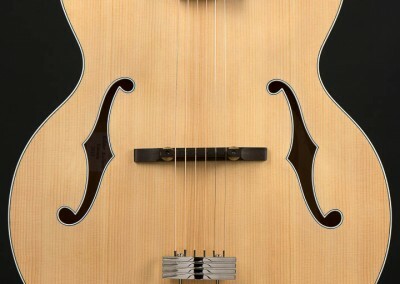 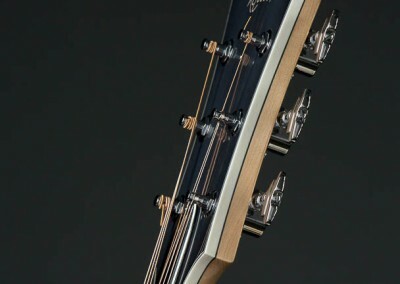 The neck and body are dovetail connected. 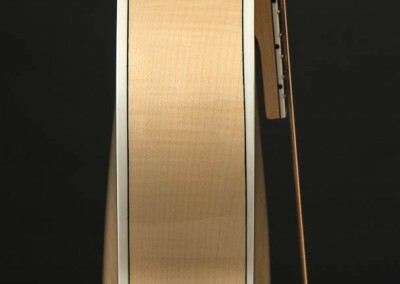 Inside the bridge I have placed a “Fishman Acoustic” pickup.